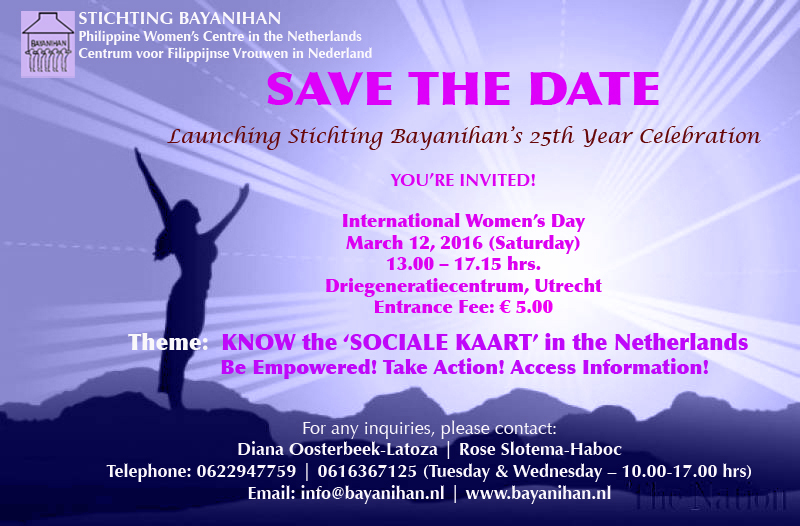 Every year, Stichting Bayanihan celebrates the International Women’s Day in line with the mission of The United Nations Entity for Gender Equality and the Empowerment of Women (also known as UN Women) to advance gender equality and women empowerment. 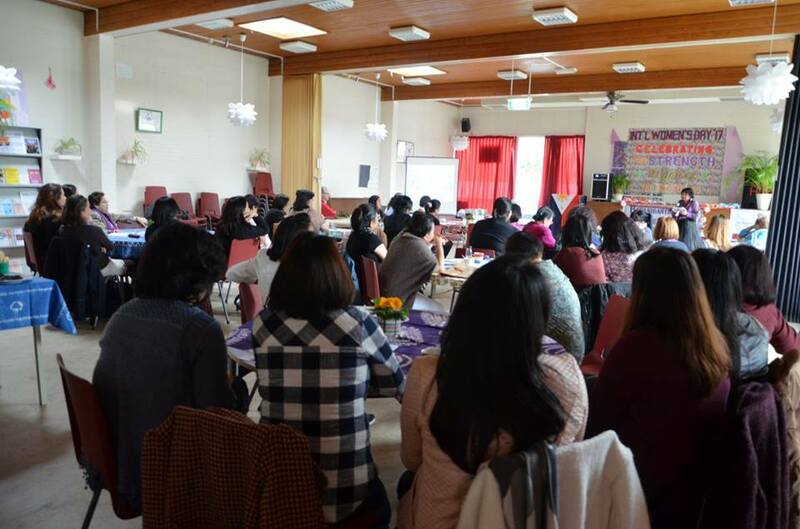 On March 11, 2017, Bayanihan spearheaded the gathering of Filipinas at the Driegeneratiecentrum in Utrecht to celebrate the strength of Filipinas in the country. 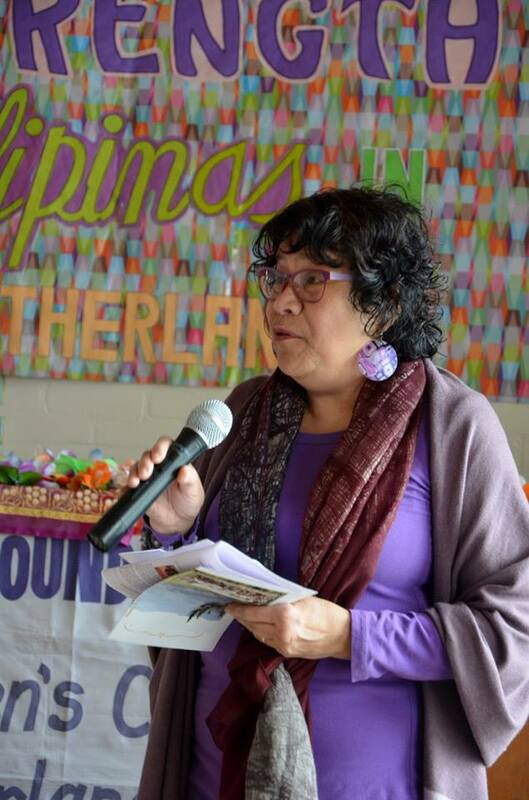 In her welcoming remarks, Bayanihan Chairperson and Social Cultural Worker Diana Oosterbeek-Latoza indicated that though gender equality is still far from reach, women’s commitment to act now and sow the seeds of change from where we stand at present is absolutely necessary. 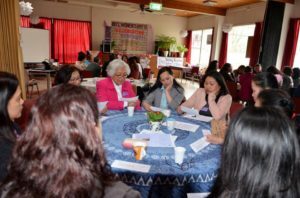 “It will still take 150 years before women will earn equally with men, according to OXFAM-Nofib report. We will never live to see that progress, but at least we have sown seeds that will lead to that realization. 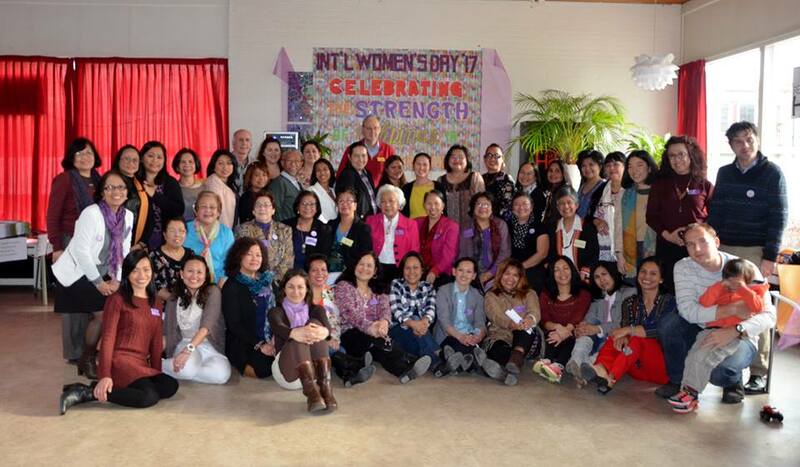 We still have many tasks ahead of us, and IWD is the right moment for gender-focused action. 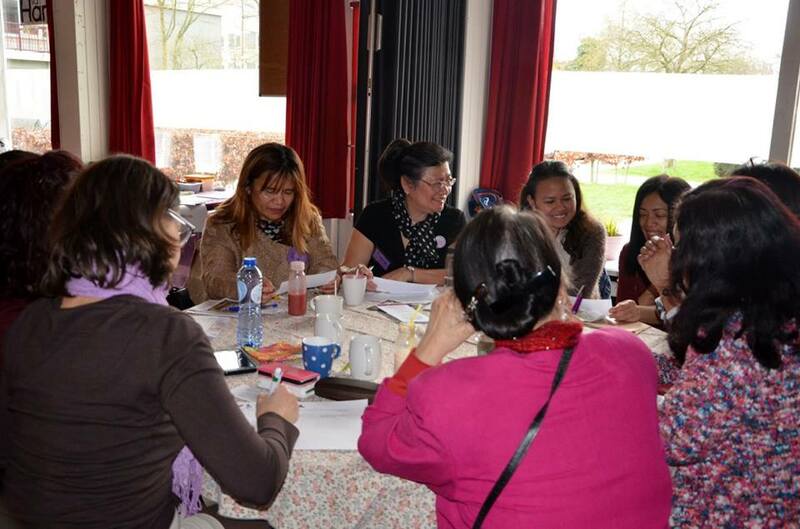 By annually organizing the IWD event specifically for us, Filipinas in the Netherlands, we can create a forum where we can discuss and address our own needs. With the theme, ‘In Celebration of the Strength of Filipinas in The Netherlands,’ the event highlighted the achievements that women in the group have accomplished so far, kicking off with an inspiring talk from Dr. Yvonne Belen on how she managed to self-publish her autobiography. 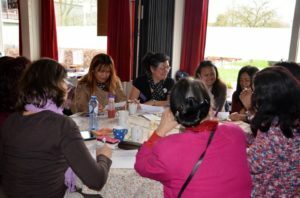 Belen had previously worked as a medical doctor and a teacher in the Philippines until her family immigrated to the Netherlands in 1985. Due to her limited Dutch language skills, it wasn’t easy to practice as a physician in the Netherlands; a simple misunderstanding can cost one’s life. 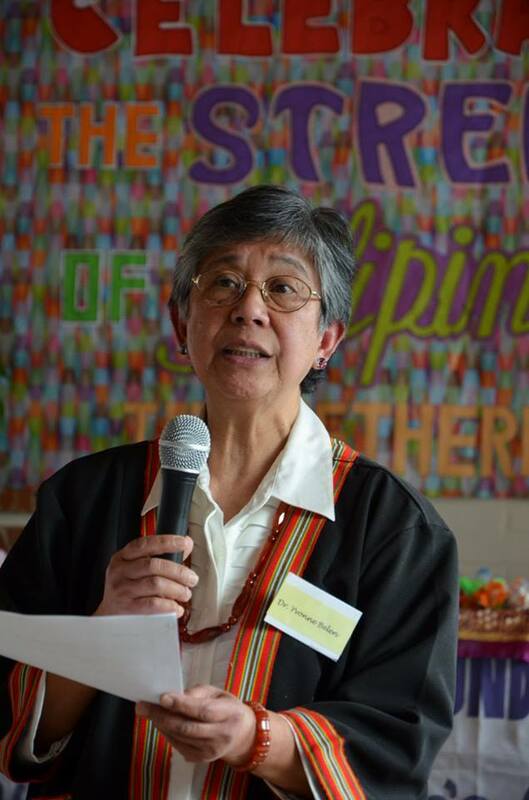 Instead she turned into her strength in writing instead and honed her English language skills. As a result, she now has accomplished her goal of publishing her memoir entitled ‘Prose, Poetry & Miscellany’ as well as her wish to be able to pass the valuable knowledge and experiences she acquired from the past to the next generation, especially to that of her kin. Following the talk was the workshop session; participants were grouped into four and each member gets an opportunity to share her (or his) own success story, elaborate on the qualities or strengths that helped her/him to get there, and further exchange ideas and tips on how each one can enhance those qualities and strengths to become more empowered or be an inspiration for others. 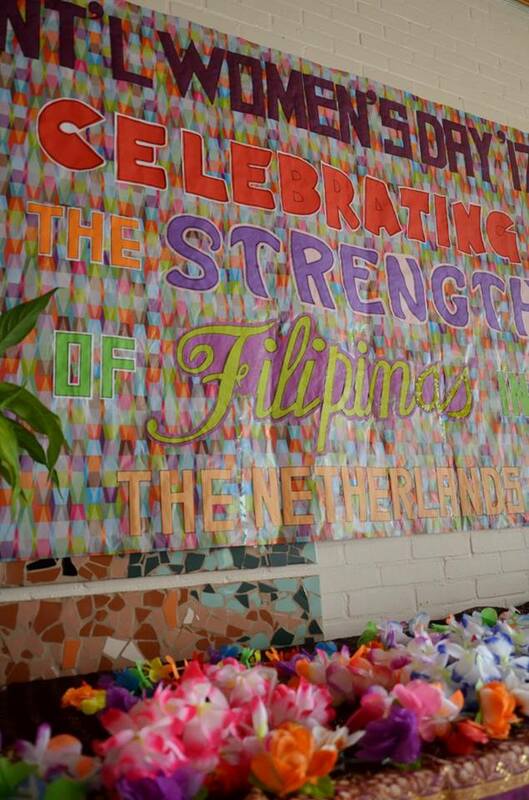 Below word cloud sums up the qualities that Filipinas in the Netherlands have considered to be strengths that enabled them to overcome every obstacle that stands their way of reaching the goal they set their mind into. 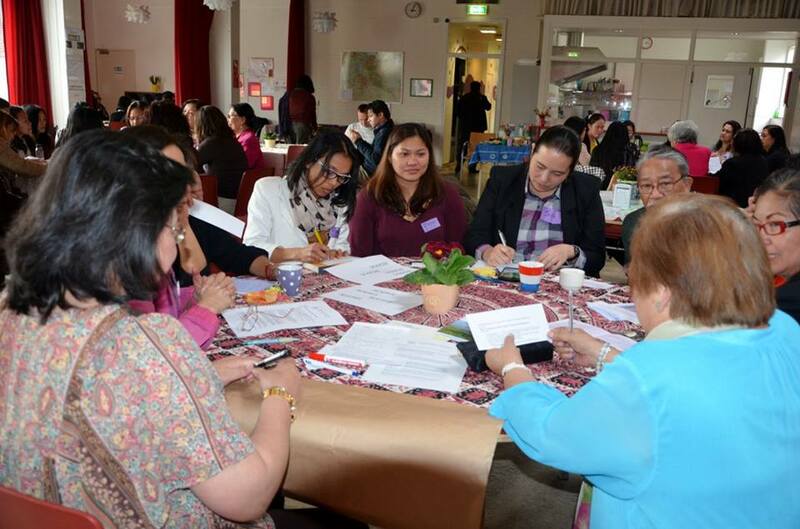 To bring the celebration to a close, the facilitators and note-takers assigned to each group summed up their key takeaways from their discussion and shared results with the rest of the IWD participants via group reporting. Among the top common responses in terms of the next action points to be done to further achieve concrete results were as follows. Stay focused and determined to achieve what you set your mind to do. Set your goals, know your priorities, and stay motivated. Get to know yourself more. Everyday is a learning opportunity. Make the best of it whenever you can, wherever you are and whatever you do. When things go wrong, take time to reflect on what went wrong. Be forgiving to yourself and work things out to make that wrong right. Connect or stay connected with the community. It’s an important step in your settlement and integration process. Keep your faith in God strong by knowing more about Him through bible studies and counseling. You can do all things through Christ who strengthens you (Philippians 4:13), so in all things give thanks (1Thessalonians 5:18). Take care of yourself! Be careful that you don’t get caught selflessly taking care of others and forgetting to look after yourself. The healthier and in better shape you are (mind, body and soul), the more effective and efficient can you look after the people and matters you care about. As usual, a Filipino gathering won’t be complete without a salu-salo (community eating). 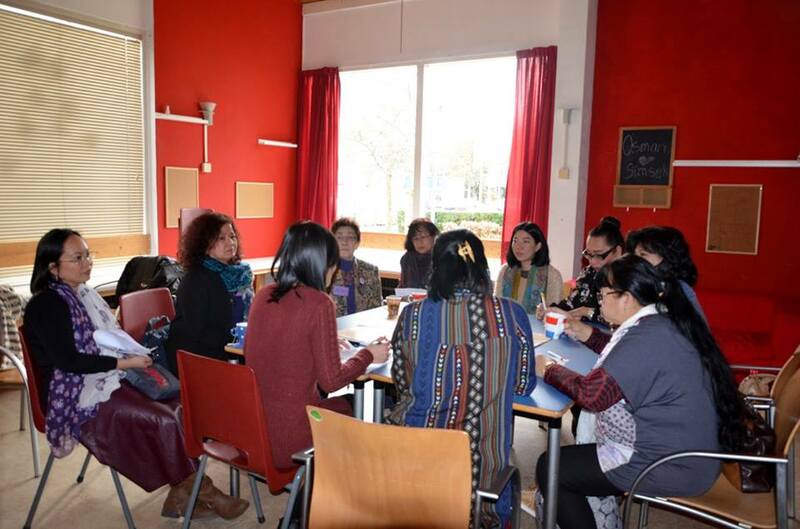 This time, it’s a merienda, combining the Dutch style (coffee and tea with biscuits) with that of the Philippine style (homemade, traidtional Philippine snacks). 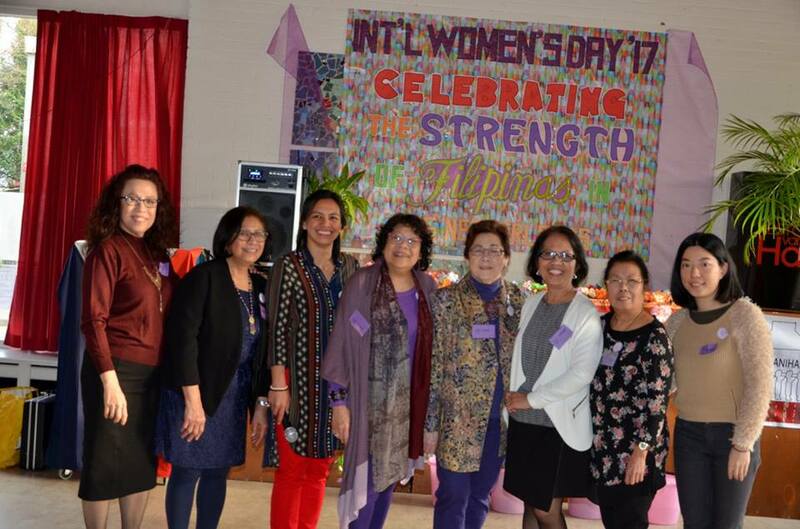 The spirit of encouragement and assertiveness filled the room as everyone- the participants, Bayanihan Board, organizing team, volunteers, friends and family- brought this year’s celebration of International Women’s Day to a successful, happy ending. Till next year! 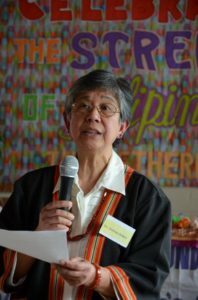 Ipagpatuloy natin ang diwa ng Bayanihan! 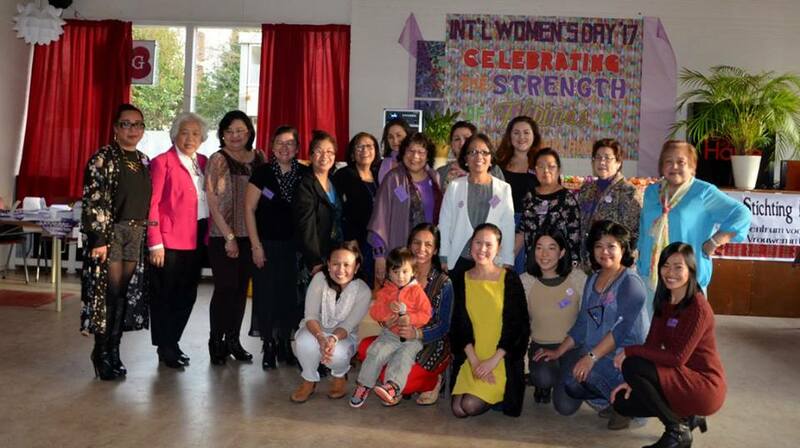 Huge thanks to all the IWD 2017 Organizers, Volunteers and Sponsors! 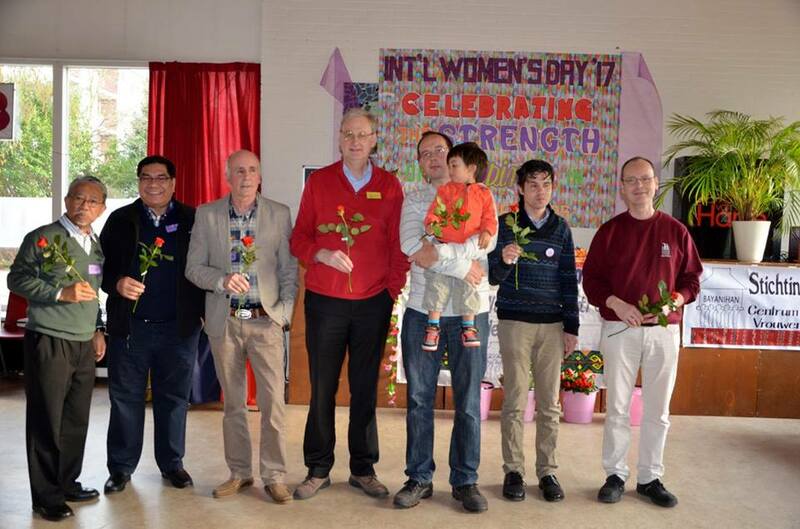 To view all photos taken at the Bayanihan IWD 2017 celebration, you can find them all by visiting our Stichting Bayanihan Facebook page.